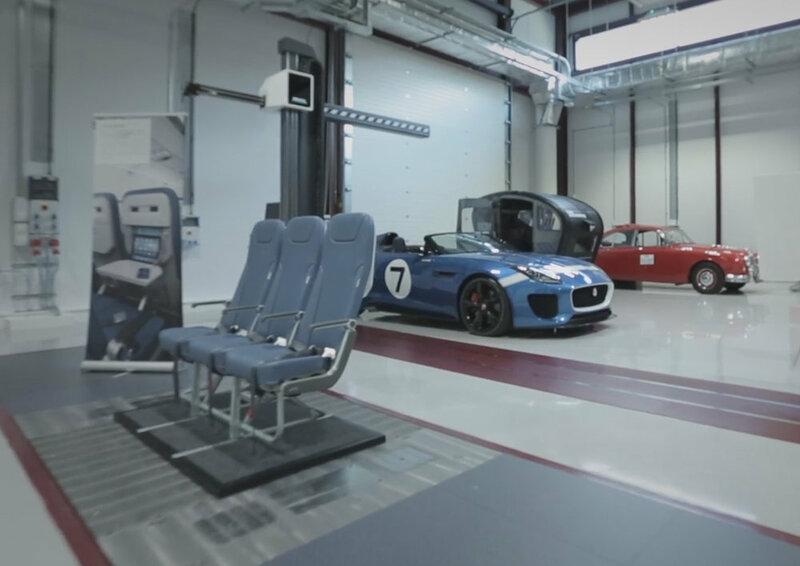 The production line and lean manufacturing philosophy for the PITCH PF3000 seat is aimed at maximising our ability to achieve a high volume of throughput with a skilled and dedicated workforce. We are all very proud of our product and build the seats with the passion and care they deserve. PITCH has designed its fixed recline seat, the PF3000, to not only be very light and reduce fuel burn but also be easily recycled in the future. The plastic vacuum formed mouldings can be separated from the metal structure allowing both materials to be recycled at the end of the products life. It also allows easy replacement of the plastic in service if damaged. PITCH: Making a difference today and in the future. 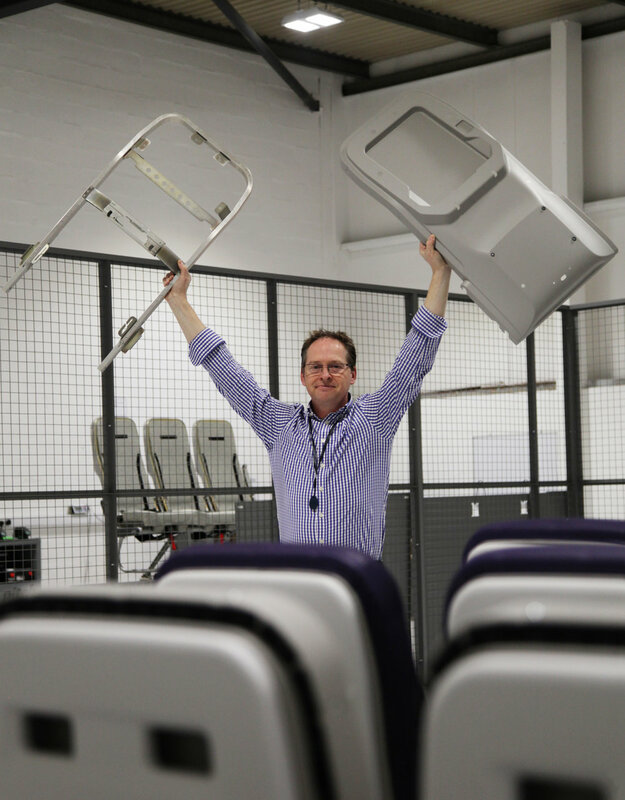 Picture: Director, Gary Doy, making light work of the seat back. PITCH will be launching two new PF3000 dress covers at the AIME Dubai show on the SABETIWAIN AEROSPACE stand (1115). The first dress cover is from our lightweight baseline range and is presented in Lantal fabric with a printed leather Antimacassar from Andrew Muirhead. The second dress cover is from our comfort range and is presented in E-Leather with a contrasting stitch. PITCH will be showing the two triple seats at the show giving visitors the opportunity to experience the class leading passenger space. PITCH has worked closely with SABETIWAIN to develop dress covers that provide a well-tailored look whilst optimising both comfort and weight. PITCH director, Gary Doy, will be attending the show and available to answer questions. If you would like to pre-arrange a meeting please e-mail: gary.doy@pitchaircraftseating.co.uk or call +44 (0) 7971 888 282 during the show. Gary will be speaking on Lightweight Seat Design on Tuesday 5 December. Gary and Ross will be attending the show and presenting the new PF3000 fixed recline seat. The Pitch team will be presenting the latest product on stand 3UA51. PITCH PF3000 production underway at the new PITCH UK facility with first deliveries for A319, A320, B737-300 and B737-500 aircraft. Production of the PF3000 fixed back seat has started at the new PITCH assembly facility in the Midlands. PITCH has developed an efficient and flexible assembly process by adopting lean manufacturing techniques. Manufacturing lead times can be minimised as high value components and sub-assemblies are bought in from a proven UK-based supply chain. PITCH currently works on a 12-week lead time for delivery of the standard fixed back product, however for customers who require shorter lead times, PITCH hold sufficient stock to deliver an initial ship set or two. The assembly facility is highly scalable and has the capacity to deliver over 1000 PAX places a week. The Launch of the PF3000 at Aircraft Interiors Expo went extremely well with the seats receiving high praise from airlines for their space efficiency, smart engineering and design. Of all the highlights, we have a few favourites below that show our efforts have been received well. Even at 28'', the PF3000 is still more comfortable than its rivals. 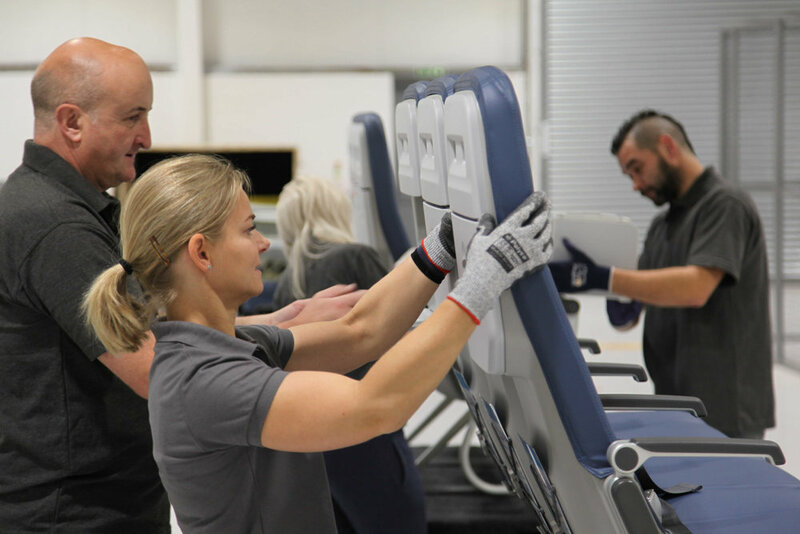 Pitch Aircraft Seating Systems has set up a manufacturing facility in the UK to support the production of their new PF3000 economy seat. 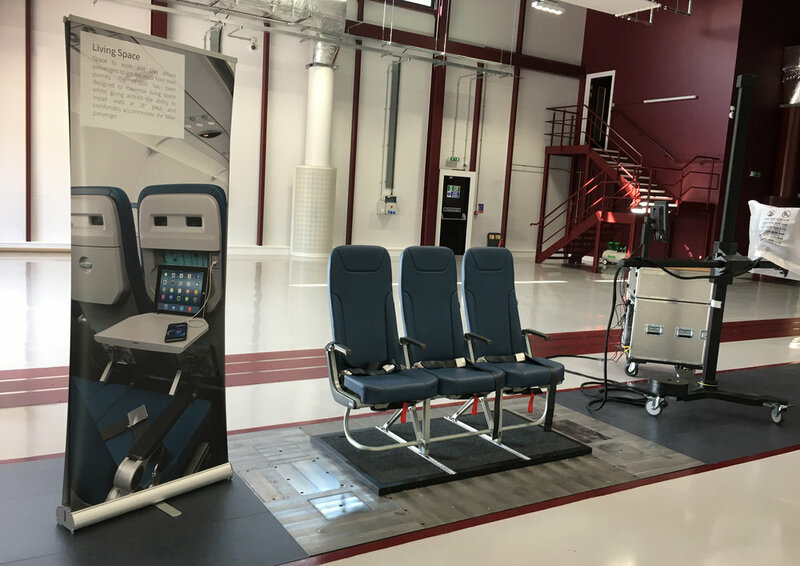 In 2016 Pitch commissioned a bespoke facility in the Midlands and started hiring a specialist team to cater for high volume aircraft seat production. This growth was made possible by significant investment from the shareholders and support from Finance Birmingham as part of the AMSCI funding programme, which is supported by the Department of Business, Energy and Industrial Strategy (BEIS). Diane Watt from Finance Birmingham says “It is great to see a local UK manufacturer develop its global business and create further job opportunities in the Midlands. We can see there is a great opportunity for growth in the Aerospace Sector and feel proud that we have been able to make a difference”. 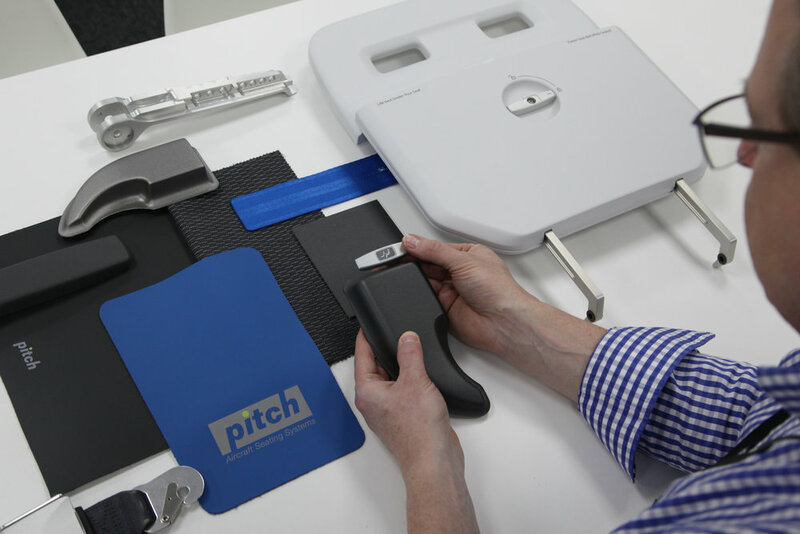 Pitch contracted a select group of specialists who shared its vision to deliver well designed high quality product, the majority of whom are UK based with a proven track record in the design and production of aircraft seat components. Pitch worked closely with its supply partners to understand their capabilities and manufacturing processes. Gary Doy says "design at all levels plays a key role in the overall quality and success of the product. You have to invest time and work closely with your supply partners to enjoy the benefits of efficient manufacture". The Pitch production team are focused on lean manufacturing techniques and build solutions to reduce the assembly time and the handling of components. The facility will be fully operational in the second quarter of 2017.